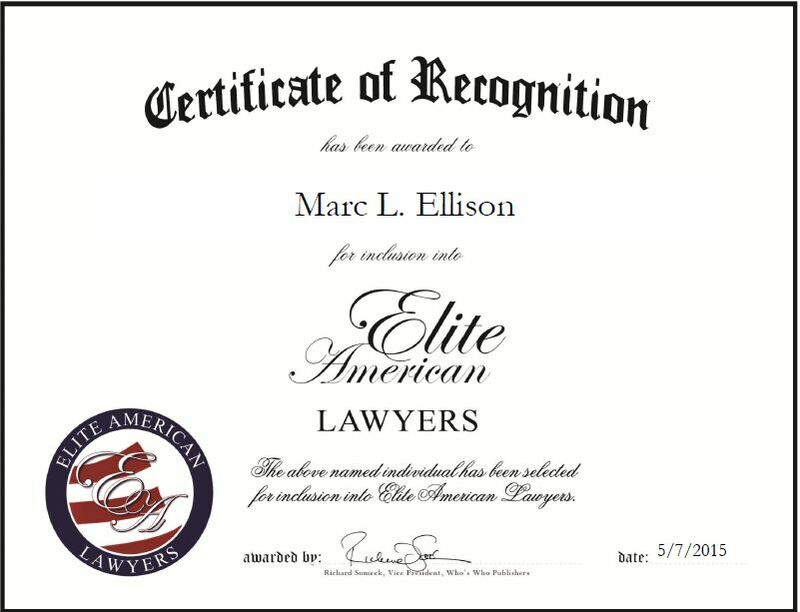 Marc L. Ellison is an established attorney who currently lends his skills and knowledge to Totz Ellison & Totz P.C. The law firm provides legal services in the areas of commercial creditors’ rights, construction and commercial litigation, as well as preparation and enforcement of mechanics and materialmen’s liens. Ms. Ellison has 31 years of experience in the legal industry and has worked extensively in commercial litigation. Mr. Ellison spends his days dealing with creditors’ rights, collecting for creditors, and performing construction litigation. Mr. Ellison is very proud of his career and enjoys making quick decisions in challenging and complex cases. He sees himself as a problem solver and works closely with his clients to get them their desired results. An AV Preeminent Attorney, he attributes his success to his enjoyment of the daily challenges of having a voluminous workload. Looking toward the future, Mr. Ellison hopes to remain AV-rated, maintain proficiency in trial work and keep up his reputation. This entry was posted in Commercial Litigation and tagged AV Preeminent Attorney, complex cases, construction, creditors' rights, litigation. Bookmark the permalink.